Rise Of The Mind Masters is a high-level adventure for the post-apocalyptic role-playing game, Darwin's World. Rise Of The Mind Masters is the continuation of the adventure begun in Secrets of The Mind Masters, and involves a journey into the heart of the Savants' legendary "Grass Plains Empire" to end their looming threat to the people of the north. 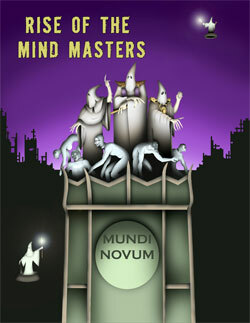 As the follow-up to Secrets of The Mind Masters, Rise Of The Mind Masters is designed for characters of levels 18-19. Specific skills will be called upon in this adventure, including Computer Use, Craft (Structural), Demolitions, Diplomacy, Investigate, Knowledge (Ancient Lore), Knowledge (Civics), Knowledge (Earth & Life Sciences), Knowledge (Technology), Search, and Spot. Diplomacy and Knowledge (Technology) are particularly important to succeeding in this adventure, but the other skills mentioned are only useful, not mandatory.